With over 20 years of experience Coley is someone who gives 100% of herself every day. Understanding personality and lifestyle help create the best look for each individual. There is a feeling of accomplishment in knowing your clients completely trust you and look forward to their time in the salon. Communication is key and keeping up on latest trends and fashion is her passion. 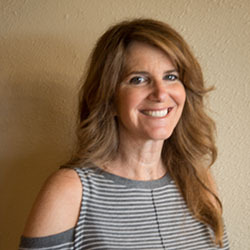 She loves the combination of art and science and will help you achieve your creative color goals and is passionate about furthering her color skills with ongoing education. Highly trained in Matrix, Redken and cutting by Bumble and Bumble, Rusk and DiPetro Todd.